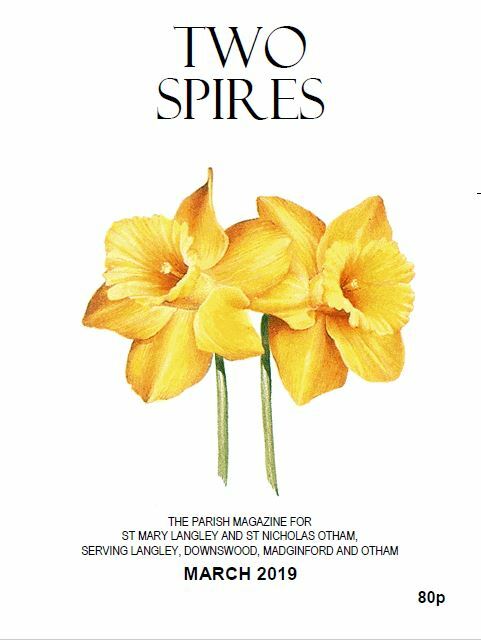 If you would like to know what is going on in the parish, when and where, make sure you pick up from church, or receive (through the post), your copy of ‘Two Spires’ the monthly magazine of the parish of Otham with Langley. Copies of the two latest editions may be viewed by clicking on the links below the following images of their covers. 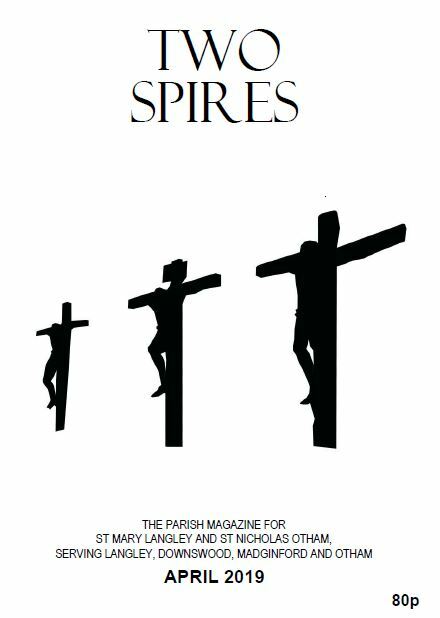 If you would like a regular copy please contact the Editor, Malcolm Kersey by email: editor.twospires@gmail.com. 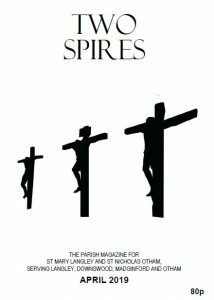 A copy of the editions for June and December is delivered, free of charge, to every home in the Parish. 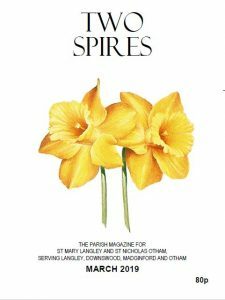 If you would like to advertise your business in every month’s edition please contact the Editor, as above.